From the recent collapse of the major bitcoin exchange, Mt. Gox, to the alleged identification of Bitcoin’s creator in California, the prominence of bitcoin in the public consciousness seems to escalate by the day. The public’s focus on bitcoin at this time of year is especially appropriate given that it is tax season. The use of bitcoin in the marketplace raises a host of tax issues and many bitcoin users are searching for answers as to how to treat and report their bitcoin income or transactions. This article is meant to serve as a primer on the key tax issues raised by bitcoin use and how those issues should be analyzed under existing tax laws. On March 25, 2014, the IRS issued Notice 2014-21, which “describes how existing tax principles apply to transactions using virtual currency.” Before relying too extensively on the information provided in this Notice, it is important for taxpayers to be aware of the authoritative weight given to such Notices by the IRS and the Federal courts. Notices such as Notice 2014-21 are public pronouncements on matters of general public interest that permit the IRS to state a position without undergoing the time-intensive procedures necessary to issue a Revenue Ruling or promulgate Treasury regulations. While the IRS will generally respect the position it sets forth in Notices, thus allowing taxpayers to rely on Notices during a controversy with the IRS at the administrative level, IRS Notices do not have the force and effect of law and do not bind courts. Moreover, while courts are generally inclined to give some authoritative weight to IRS Notices, due to the haste in which they are issued, the weight and deference courts afford to IRS Notices is generally lower than other IRS pronouncements, such as Revenue Rulings. Additionally, within the overall tax landscape, the issues addressed by Notice 2014-21 are narrow. The bottom line is that taxpayers should review Notice 2014-21 and use it to inform their decisions when reporting bitcoin transactions and income, but should also be aware that the Notice is neither the sole nor final authority regarding the taxation of bitcoin. Federal tax law as applied to bitcoin or any other asset is complex and wide-ranging; Notice 2014-21 touches on a very small part of it. Bitcoin derives value not from governmental backing or a link to an underlying commodity, but purely from its finite nature, the effort required to generate new bitcoin, and the value its users place on it and its acceptance as a medium of exchange in certain segments of the market. The trading value of one bitcoin has undergone significant fluctuations recently. For instance, between October 2013 and December 2013 the value of one bitcoin increased by over 1,000 dollars. Through mid to late March 2014, the value of one bitcoin remained close to 600 dollars. Bitcoin allows its users to hold a medium of exchange without the need to rely on the banking system or other regulated transaction channels. Bitcoin is transferred, digitally, from one owner to another. The key to bitcoin is its construction as a cryptocurrency. This means that one must be in possession of certain key codes in order to access bitcoin. When a sender (such as a buyer using bitcoin to make a purchase) intends to transmit bitcoin to a receiver (such as a seller accepting bitcoin as payment), the sender sends a “public key” to assign to the receiver his ownership rights. The sender also certifies the transaction by signing with his “private key.” Third-parties, by reference to a public registry called the “block-chain,” can verify that the sender sent his public key to the recipient and certified the transaction by signing with his private key. The block-chain prevents manipulation of bitcoin ownership and double-spending is prevented by maintenance of a public registry that records transactions and current ownership interests. It records all bitcoin transactions, keeping track of such vital information as the counterparties to each transaction and the date of each transaction. Reconciliation of bitcoin transactions is also part of what creates new bitcoin. More specifically, certain computer users provide computing power to record and reconcile bitcoin transactions, and to provide status updates regarding bitcoin ownership. Verifying and reconciling transactions, however, can only be completed by solving complex mathematical problems. This process is called “mining.” As incentive to engage in the mining process, miners receive new bitcoins as a result of their mining activities. Bitcoin supply is finite (the maximum number of bitcoin that will ever exist is approximately 21 million), and the amount that can be mined at any one time is also limited: as the amount of bitcoins that can exist approaches its limits, the amount that miners receive decreases. 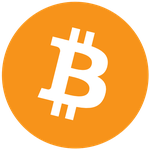 Transacting with others in bitcoin requires ownership of a “bitcoin wallet.” Bitcoin wallets can be installed on a computer like software, can be made mobile for use on a mobile phone, can be web wallets, accessible via the internet, or can be held in “cold storage,” which means they are offline and the requisite key codes are recorded only on paper. The purpose of a bitcoin wallet is to save bitcoin addresses (the public and private codes explained above)—the information needed to transfer bitcoins. There is no restriction on the number of bitcoin wallets someone may utilize. A good summary of fundamental questions and answers surrounding bitcoin can be found here. III. How Will Bitcoin Be Taxed? Although it is unclear precisely how the IRS will treat and characterize each of the countless varieties of bitcoin income or transactions, it is clear that all transactions using bitcoin, and the disposition of bitcoin, have federal tax consequences. Indeed, the federal tax questions raised by use of bitcoin are almost too many to count. For instance, assume A holds bitcoin worth 1,000 dollars, and “cashes it in” for 1,000 dollars of US currency. Assuming A purchased the bitcoin when its value was lower, say 500 dollars, does A have to recognize 500 dollars in gain, as he would with most dispositions property? If so, what character does his gain take? Similarly, assume A holds bitcoin worth 1,000 dollars, and exchanges his bitcoin for 1,000 dollars’ worth of services. Is this a taxable event? What if Employer pays Employee in bitcoin in exchange for Employee’s services? Is this exchange properly characterized as wages subject to employment tax withholding? Further, assume a bitcoin holder has more than $10,000 worth of bitcoin in his virtual wallet, the server on which the record of bitcoin ownership is stored is located outside the United States. Is the bitcoin holder required to make a disclosure under the Foreign Bank Account Reporting requirement of the Bank Secrecy Act? While some of these issues have been addressed by Notice 2014-21, a vast majority of tax issues raised by bitcoin use remain unresolved. Assuming, as seems likely, that bitcoin’s prominence in the marketplace continues to grow, these unresolved questions will have to be confronted by the IRS and the federal courts. Until then, taxpayers are encouraged to make prudent and educated judgments with the assistance of experienced tax professionals as to how to report their bitcoin transactions to the tax authorities. Prior to the issuance of Notice 2014-21, the key questions surrounding the taxation of bitcoin revolved around its classification as a currency or property, and, if it were classified as property, whether gains derived from bitcoin will be capital or ordinary in character. Notice 2014-21 makes clear that for tax purposes, bitcoin will be treated as property. Below we explain some of the primary ramifications of this treatment. a. Why is Bitcoin Not a Currency? First, it is important to explain why the IRS will treat bitcoin as property, rather than currency, as this question has been looming over the bitcoin community for years. Under the Internal Revenue Code (IRC or Code), currency is broken down into “functional” and “non-functional” currency. For most purposes, functional currency refers only to the US dollar. It is extremely unlikely that the definition of functional currency under the IRC would be expanded to include bitcoin or any store of value other than dollar. For that reason, if Bitcoin were classified as a currency, it would more specifically be classified as a non-functional currency. If bitcoin were considered a non-functional currency, exchanges of bitcoin for US dollars would be treated as an exchange of a foreign currency for US dollars and would result in the recognition of ordinary income, to the extent of any gain, under IRC § 988. A general application of ordinary income treatment to bitcoin transactions was a significant worry of bitcoin users prior to the IRS’s clarification of bitcoin’s tax classification. However, because bitcoin does not bear the traditional indicia of currency, it always seemed unlikely that the IRS would treat bitcoin as a currency. Bitcoin is not backed or issued by a central government and is not linked to another asset such as gold or silver. Moreover, Bank Secrecy Act regulations (not binding for purposes of the IRC) define “currency” as “the coin and currency of the United States or of any other country, which circulate in and are customarily used and accepted as money in the country in which issued.” 31 CFR § 1010.100(m). Due to bitcoin’s current lack of widespread circulation and its lack of customary acceptance as a money equivalent in the US and other countries, and drawing on the Bank Secrecy Act definition of currency, it seemed apparent even prior to the issuance of Notice 2014-21 that the IRS was unlikely to classify bitcoin as a currency, an assumption confirmed by Notice 2014-21. See Notice 2014-21 at Q-1 and Q-2. 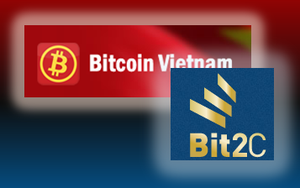 Different countries have taken different positions regarding bitcoin’s status as a currency. For instance, last year Germany did not go so far to recognize bitcoin as an official currency, but it did recognize bitcoin as a “unit of account,” opening it for use in the wider marketplace and creating a framework by which to tax bitcoin-based transactions. Conversely, Japan has refused to recognize bitcoin as a currency or anything similar. China has also refused to recognize bitcoin as a currency, and has instead defined it as a virtual commodity. China has gone so far as to ban its banks and payment institutions from dealing in bitcoin. A summary of the treatment of bitcoin in selected jurisdictions prepared by the Global Research Center of the Law Library of Congress can be found here. Following the issuance of Notice 2014-21 and confirmation that bitcoin will be treated as property rather than currency, the primary practical question that arises is whether the IRS will classify bitcoin as a capital or non-capital asset. This determination is important because dispositions of capital assets held by a taxpayer for a year or more are generally subject to lower rates of taxation than dispositions of non-capital assets. Less favorable for US taxpayers, however, is that long-term capital losses generally cannot be used to offset ordinary income (the income that most people earn, such as wages or investment interest). Capital assets are defined under the Code by what they are not. In defining capital assets, the IRC starts with the simple premise that a capital asset is “property held by the taxpayer (whether or not connected with his trade or business).” IRC § 1221. Thus, the default classification for property is as a capital asset. From there, the IRC excludes eight specific types of assets that are not capital: inventory, real or depreciable property held for use in the taxpayer’s trade or business, intellectual property created through the taxpayer’s personal efforts, accounts receivable, government documents, certain dealer-held derivative financial instruments, hedging transactions, and non-inventory supplies regularly used or consumed by the taxpayer in his trade or business. The definition of capital asset makes clear that the determination of whether an asset is capital depends on how it is held by a particular taxpayer. Whether bitcoin is treated as a capital asset will chiefly depend on the taxpayer’s use of bitcoin or the activity from which the taxpayer earns bitcoin. For instance, for a person engaged in the “mining” of bitcoin, income produced by those efforts will likely result in ordinary income. See Notice 2014-21 at Q-8. A miner of bitcoin that later sells his bitcoin or uses it to purchase goods or services will recognize ordinary income, rather than a capital gain. With respect to mining, a strong analogy can be drawn between bitcoin and other commodities, the mining of which gives rise to ordinary income. See Prichard v. Helvering, 310 U.S. 404 (1940). Like other commodities, bitcoin is a finite resource that must be extracted from within a larger source. In this way, mining bitcoin, like mining ore or extracting oil from the earth, resembles a manufacturing activity which generates ordinary income upon disposition of the proceeds of the mining or manufacturing efforts. Further, one who “deals” in bitcoin, i.e. makes selling bitcoin his or her regular trade or business, will recognize ordinary income on any transactions resulting in a gain. See IRS Notice 2014-21 at Q-7. Conversely, one who merely “trades” in bitcoin will likely incur a capital, rather than ordinary, gain. The distinction between a dealer and a trader is a fine one, and largely hinges on whether the subject property is being sold to “customers,” as opposed to merely being traded on an exchange. Given the current state of the bitcoin market, and the paucity of recognized exchanges devoted to bitcoins, it may be difficult for a taxpayer to argue that he is a “trader” rather than a “dealer” in bitcoin, and thus entitled to capital gain treatment. An analogy can be made with guidance recently issued by the Treasury Department’s Financial Crimes Enforcement Network (FinCEN), which draws a distinction between “users” and “exchangers” of bitcoin for purposes of determining whether individuals or businesses will be considered money services businesses (MSB) for purposes of the Bank Secrecy Act. Under that guidance, individuals or businesses that mine and dispose of bitcoin for their own purposes, and not as a business service performed for others, are not treated by FinCEN as MSBs under the Bank Secrecy Act. Drawing upon that distinction, trading in bitcoin solely on one’s own account, as opposed to facilitating bitcoin transactions between third parties, or making a regular practice of selling bitcoin to third parties, should receive capital gain treatment. Additionally, an individual or business that receives bitcoin in exchange for sales of its inventory or for sales of the services that make up its regular trade or business will be required to treat the bitcoin earnings as ordinary income. Again, this is because the bitcoin was earned as a result of efforts that were within the taxpayer’s regular trade or business, not the sale or exchange of a capital asset. More relevant to most taxpayers are the tax consequences of disposing of bitcoin that was purchased or received from a previous holder or was earned for performing activities not within the taxpayer’s regular trade or business. For instance, suppose a taxpayer purchases bitcoin as an investment for 100 dollars and its value later rises to 200 dollars. Upon disposition of the bitcoin in any manner, such as sale for 200 dollars in cash or the purchase of 200 dollars’ worth of goods or services, the taxpayer is likely to have 100 dollars of capital gain. Similarly, if the taxpayer purchased the bitcoin for 200 dollars, or performed services outside of his regular trade or business and received 200 dollars of bitcoin in receipt, then disposes of the bitcoin for property or services worth 400 dollars, that person will have 200 dollars of capital gain. This is so because absent the taxpayer’s status as a bitcoin dealer or one who holds bitcoin as inventory for sale in a regular trade or business, bitcoin does not appear to fall within any of the other exceptions of IRC § 1221 and therefore should be classified as a capital asset. In this way, using bitcoin for everyday transactions differs significantly from the use of cash. taxpayer’s gain and loss on the disposition of property is generally measured by reference to the taxpayer’s basis in the property, which is generally measured by the cost to acquire the property and the taxpayer’s subsequent investment in the property. When a disposition of property results in the receipt of value (such as money) in excess of the taxpayer’s basis in the property, then the taxpayer has realized a gain. When a disposition of property results in the receipt of value exceeded by the taxpayer’s basis in the property, then the taxpayer has realized a loss. See IRS Notice 2014-21 at Q-6. A taxpayer’s basis in cash is almost always the face value of the cash. Thus, in almost all instances, the taxpayer’s basis and amount realized are equal, and no gain or loss results for a buyer using cash. However, the tax treatment of purchases made with bitcoin more closely resemble barter transactions, in which property or services are exchanged for other property or services, without the use of money as a medium of exchange. In a barter transaction, the amount realized by the selling party is the fair market value of the property received in the exchange. See IRS Notice 2014-21 at Q-6. Due to bitcoin’s fluctuating value the resulting disconnect between a taxpayer’s basis in his bitcoin and the bitcoin’s market value, dispositions of bitcoin will likely generate gain or loss. Unless bitcoin’s value stabilizes significantly, the fact that tax consequences will likely result from each disposition of bitcoin could serve as a major obstacle to bitcoin ever becoming as liquid or freely used in the marketplace as cash. As was made clear in Notice 2014-21, for tax purposes transactions denominated in bitcoin or other virtual currencies must be reported in US dollars, which will require taxpayers to determine the fair market value of bitcoin income or bitcoin involved in a particular transaction in US dollars. Notice 2014-21 specifically states that a determination of fair market value can be made by reference to an exchange rate established by market supply and demand. However, all such exchange rate determinations must be reasonable and consistently applied by the taxpayer. See IRS Notice 2014-21 at Q-5. Because bitcoin has an established exchange rate, the fair market value of bitcoin should be easy to determine at any given moment. However, determining the fair market value at the time of bitcoin disposition is only half of the equation necessary to determine the gain realized from a disposition of bitcoin. The other half of the equation is the taxpayer’s basis in the bitcoin, generally the amount expended in acquiring the bitcoin under IRC § 1012. Keeping track of bitcoin basis will likely be an area of focus for any future IRS regulation because a number of questions, and potential areas for abuse, may result from unclear or incomplete rules for basis tracking. For instance, assume an individual buys 10 bitcoins on day 1 when bitcoin is worth 75 dollars each, 10 bitcoins on day 5 when bitcoin is worth 110 dollars each, and 10 more bitcoin on day 20 when bitcoin dropped in value to 100 dollars each. If the taxpayer then spends 7 bitcoins on day 30, what is his basis in those 7 bitcoins? The existence of the “block-chain” and the use of virtual wallets should simplify this determination. As stated previously, each bitcoin transaction is recorded and preserved for review in a public registry called the block-chain. Reference to the block-chain, and reference to the daily historical pricing of bitcoin, should permit a taxpayer to keep track of the dates he purchased or acquired bitcoin, as well as the price of the purchase. Further, using multiple virtual wallets should allow a bitcoin holder to segregate bitcoin purchases and thus avoid mixing bitcoin with different bases. However, issues remain. Assume, for example, that a taxpayer maintains a different virtual wallet for each bitcoin purchase. By segregating bitcoin in this manner, a bitcoin holder could potentially pick and choose which bitcoin he chooses to spend (most likely the bitcoin with the highest basis), thereby limiting his or her gain or creating a tax-beneficial loss. Along those same lines, assume a bitcoin holder does not segregate each bitcoin purchase into different virtual wallets. Instead, all bitcoins, some with different bases, are deposited into the same wallet. When a portion of those bitcoins is spent, how can the taxpayer determine which bitcoins, with which basis, were disposed of? There are a number of approaches the IRS could take with this question. For instance, the IRS could apply a Last in First Out (LIFO) or First in First Out (FIFO) methodology. Taking one of these approaches, i.e. arbitrarily determining which bitcoin was spent based on when it was acquired by the taxpayer, would ease the administrative burden on all parties, but could also unfairly, and adversely, impact taxpayers. For instance, in the example above, under the FIFO method, the taxpayer’s basis would be 525 dollars (7 of the last 10 bitcoins the taxpayer acquired at 75 dollars each). However, overall, the taxpayer’s basis in his bitcoins is, arguably, 95 dollars per bitcoin (30 bitcoins purchased for $2,850) and thus the basis in 7 bitcoins would be 665 dollars. In that circumstance, application of the FIFO method would increase the taxpayer’s gain (or decrease his loss). On the other hand, if the taxpayer were permitted to pick and choose which bitcoin were spent, the taxpayer could manipulate the transaction to ensure the bitcoins with the highest basis (and thus lowest realized gain or greatest loss realized) were utilized. These issues are not new. Similar issues have arisen when taxpayers have held different blocks of the same stock, i.e. shares of Microsoft purchased on different days and for different prices. Under current law, so long as a taxpayer can specifically identify the shares he or she wishes to sell, the taxpayer is permitted to pick and choose which shares to sell. See Treas. Reg. § 1.1012-1(c). If the taxpayer is unable to make a specific designation of shares to sell, the IRS applies the FIFO method (the first shares purchased are deemed to be the first shares sold). Similarly, if sold inventory cannot be specifically identified, the FIFO method is applied, but the IRC allows some room for sellers of inventory to elect LIFO treatment, or an averaging of costs across the entire quantity of inventory. The IRS takes a different tack with regard to allocating basis to partnership interests. Specifically, the Code requires the taxpayer acquiring partnership interests at varying times to pool the bases of all partnership interests and allocate the basis to the different interests based on their respective fair market values. So if a taxpayer buys a 5 percent interest for 1,000 dollars and later buys a 3 percent interest for 400 dollars (the value of the partnership having decreased) the taxpayer is assumed to have a basis of 1,400 dollars in his eight percent interest. If the taxpayer then sells half his partnership interest (4 percent), a basis of 700 dollars (half of the total basis) is attributed to the sale. See Rev. Rul. 84-53. For a bitcoin speculator or investor, the rules applicable to stock seem to be the most applicable, and may provide a hint as to how the IRS may apply ordering rules to dispositions of bitcoin acquired at different times and for different prices. If the IRS does adopt this approach, taxpayers would be wise to organize their bitcoin in a manner allowing for quick and easily verifiable determinations of the basis of specific groups of acquired bitcoin, which would allow the taxpayer to efficiently identify the bitcoin providing for the most tax beneficial result and provide any backup evidence requested by the IRS. We have every confidence that the bitcoin community will step into this breach and develop simple and elegant applications designed to allow bitcoin users to track their bases in their bitcoins for tax reporting purposes, including applications permitting full compliance with any ordering rules adopted by the IRS. Thus far we have focused on the potential tax treatment of basic and fundamental transactions involving bitcoin. However, the tax issues raised by bitcoin do not stop there. Notice 2014-21 makes no mention of the Bank Secrecy Act and its application to virtual currencies such as bitcoin, but we would be remiss to similarly ignore it. Under the Bank Secrecy Act, US persons (including corporations, partnerships, other business entities, and trusts) that have signatory authority over, or a beneficial interest in, a foreign financial account that reaches $10,000 in value at any time during the year must report such interest to FinCEN. This reporting obligation is known as the Foreign Bank Account Report obligation, or FBAR for short. Failure to make the required disclosure can give rise to significant civil penalties and, in some circumstances, criminal liability. Our past articles, such as those here, here, and here, have focused extensively on US taxpayer’s FBAR requirements and the tough stance taken by the IRS toward taxpayers that fail to make the required disclosures. In light of this requirement, what if a US person’s bitcoin is maintained on a computer server located abroad? Alternatively, what if a US person living abroad maintains his bitcoin on his personal computer? If the value of the bitcoin exceeds $10,000 during the year, must the bitcoin owner report the existence of the account to FinCEN? Current FBAR regulations do not address the treatment of bitcoin or other virtual currency, but strong arguments can be made that an FBAR reporting obligation is not imposed on bitcoin accounts held abroad. Nevertheless, based on the text of the FBAR regulations, it would appear that a reserve of bitcoin held abroad would fall outside the FBAR parameters. But it is a close question. Given that filing an FBAR is a relatively simple process, US persons holding significant stores of bitcoin abroad may wish to consider filing a protective FBAR. Moreover, the FBAR obligation is just the tip of the iceberg when it comes to US persons’ obligation to report assets held abroad. For US persons holding significant amounts of bitcoin abroad, consultation with an experienced tax professional is strongly advised. What if an employer pays his employee in bitcoin? Notice 2014-21 makes clear that the IRS will treat the payment as compensation in the form of wages. See IRS Notice 2014-21 at Q-11. Payment of wages in bitcoin will constitute ordinary income to the employee and, generally, a capital gain (to the extent there is gain) to the employer. Moreover, like any other wages paid to an employee, the payment will be subject to withholding for income tax, as well as FICA (to fund Federal social security) and FUTA (to fund Federal unemployment compensation) taxes. See IRS Notice 2014-21 at Q-11. Obligations owed to the IRS must be paid in US dollars thus requiring the employer to set aside dollars to deposit the required withholding or to liquidate bitcoin in order to generate dollars to pay the required withholding. IRS Notice 2014-21 that independent contractors who receive payment in bitcoin, or individuals who mine bitcoin as part of a trade or business and not as an employee, are subject to self-employment tax, just as if they had received US dollars for their efforts. See Notice 2014-21 at Q-9, 10. At Q-16, IRS Notice 2014-21 addresses the issue of whether a taxpayer will be subject to penalties for treating transactions inconsistently with the Notice prior to its issuance date (March 25, 2014) by stating, simply, that taxpayers may be subject to penalties for failure to comply with tax laws, including underpaying the tax due as a result of virtual currency transactions. The Notice goes on to state that penalty relief may be available upon a showing of reasonable cause. Two things stand out about the IRS’s position here. The first is that, implicitly, the IRS is indicating that treating bitcoin transactions in a manner that is inconsistent with the Notice after March 25, 2014 will more likely give rise to penalties and that establishing reasonable cause sufficient to abate the penalties will be difficult for post-Notice issuance non-compliance. Second, the reasonable cause standard cited in the Notice is the standard that is generally applied in penalty abatement determinations. Thus, the IRS has given no indication that special (more lenient) treatment will be given to taxpayers against whom penalties are assessed simply because those penalties arise from bitcoin income or transactions. The issues addressed in Notice 2014-21 and this article are just a few of the vast number of tax issues raised by the wider use of bitcoin in the marketplace. For unresolved issues, taxpayers are best served by reporting any bitcoin-based income or other taxable events and to take reasonable positions regarding the taxability of those transactions. Given the uncertainty surrounding the proper treatment of every single variety of bitcoin-based income and transactions, the advice of professional and experienced tax professionals is crucial for proper reporting and avoiding future problems with the IRS. The attorneys at Fuerst Ittleman David & Joseph have extensive experience in handling complex tax planning and reporting obligations for individuals and businesses. We will continue to monitor the regulation of bitcoin and the impact of such regulation on the tax and non-tax obligations of individuals and businesses.